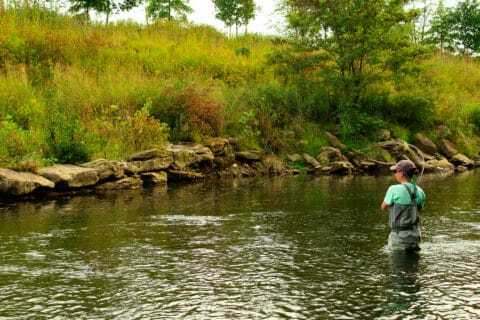 As the temperature begins to drop winter fly fishing season is approaching fast. This can be a difficult time for anglers but can also be rewarding as the crowded days on the water begin to dwindle. There is nothing that can end a day on the water faster than cold hands or feet. 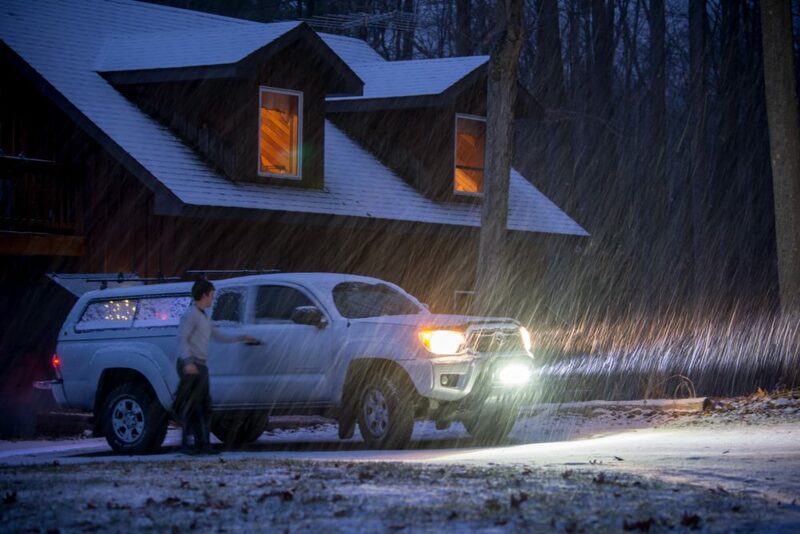 Make sure to wear layers, pack gloves, warm socks and a warm jacket. Just in-case you take a tumble, bring extra dry clothes and a towel. When ice is present, come prepared with slip-on boot crampons or studs. Wet rocks and clear ice are a deadly combo especially when crossing rocky streams. With water levels being low and clear lighter tippet will often lead to more productive days in the winter months. 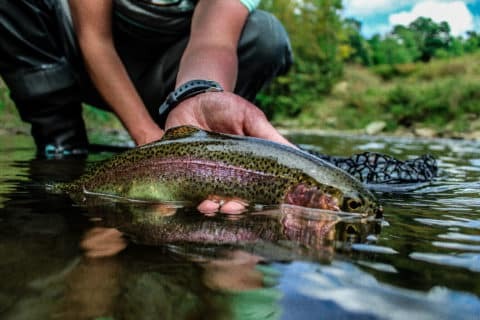 Fish are lethargic and will not chase flies during these months so by getting your fly close to the streambed you will likely be rewarded. 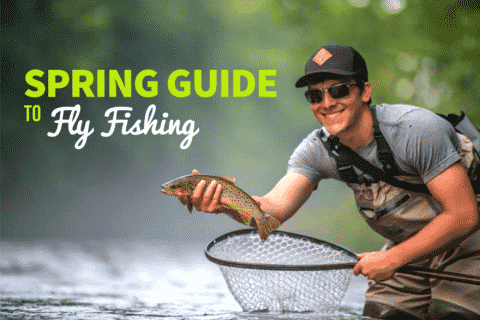 Compared to summer fly fishing, you may cast nearly 3 times as much just to hook up with any fish. 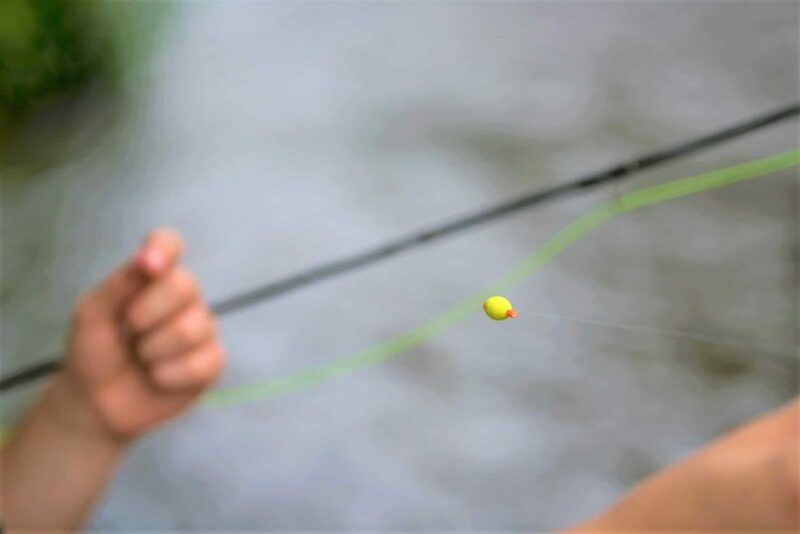 Patience is the name of the game—just cast, follow through, and repeat. It may take several perfect drifts before the fish decides to take. With that in mind, approach the same pool or run from multiple angles and adjust for depth. With below freezing temperatures, there is nothing more frustrating than ice building up in rod guides. This can be prevented using a couple home remedies like Vaseline or chap stick on the guides. Fish tend to hold in deeper slower water during the winter months. They pile up, in what we call, “winter holding grounds” which provide the perfect depth for optimal water temperature, oxygenation, and food supply fish need to survive the winter. Because there are often so few throughout a stream, where there is one fish there usually are more. 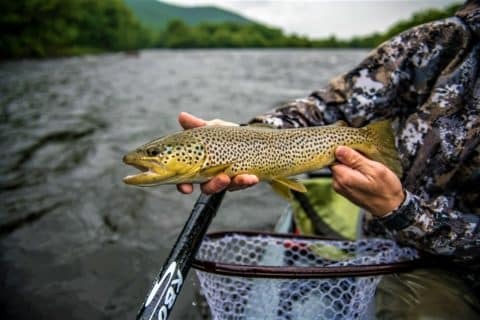 Skip the early mornings and hit the river midday when it is warmest. Be prepared for the occasional midge hatch. 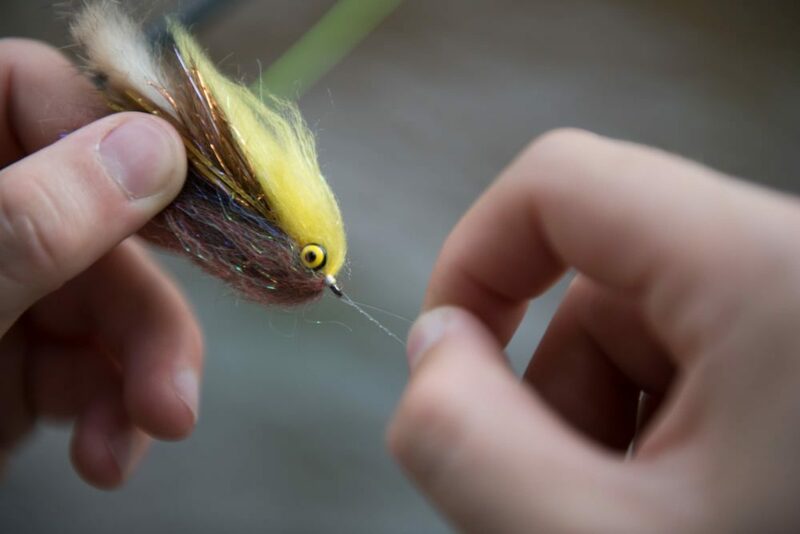 While majority of winter fly fishing can be done with nymphs, carrying small midge emergers can be productive should the opportunity arise.